A LOCAL government review panel has fined Mayor Paul Antonio $14,360 and recommended the Crime and Corruption Commission investigate the councillor of 37 years after it found he had engaged in three acts of misconduct as a result of his dealings with the Melbourne to Brisbane Inland Rail project. Cr Antonio found himself in hot water in September last year after the ABC broadcast an interview in which he admitted he paid for the design of an alternative Inland Rail route that ran along the border of his Captains Mountain quarry, and gave copies of the route to Groom MP Dr John McVeigh and Queensland Resources Council CEO Ian Macfarlane. The Chronicle can reveal that while Cr Antonio denied any wrongdoing, the Local Government Regional Conduct Review Panel found he engaged in three acts of misconduct - one of which was for failing to declare a material personal interest at council meetings in 2016 when the council discussed and endorsed potential Inland Rail routes. The other two acts of misconduct were not acting honestly or impartially by personally funding the preparation of a report on an alternate Inland Rail route that ran close to the edge of a basalt quarry he owned, and for breaching the "trust placed in him as a councillor, when he made false statements during an ABC interview and these statements caused reputational damage to the council and to councillors". 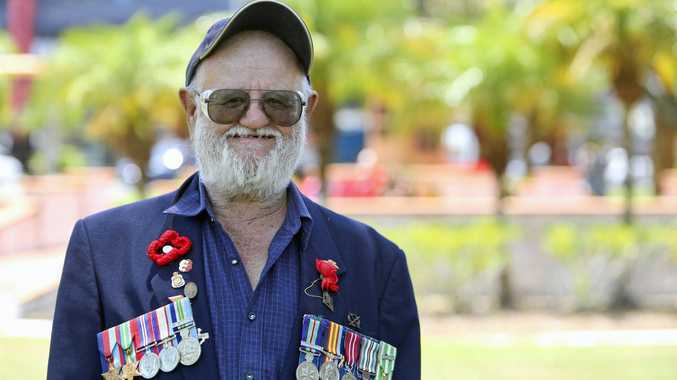 He has been ordered by the panel to make an admission of error and an apology at Toowoomba Regional Council's next meeting. The panel ordered Cr Antonio pay 50 penalty units for failing to declare a material personal interest, 30 penalty units for not acting honestly or impartially, and 30 penalty units for breaching the trust placed in him as a councillor - totalling $14,360. A fourth allegation of misconduct - that he misused information or material acquired in connection with the performance of his responsibilities "to gain a benefit for the councillor or someone else" was "not substantiated". Cr Antonio's lawyer said in a statement the mayor was "very disappointed in the decision of the panel and, with great respect to the persons who made up that panel, does not consider that the decision may be justified, having regard to the sworn evidence put before the panel by Cr Antonio". "Cr Antonio also considers he was denied procedural fairness in the hearing process and, so, the findings of the panel are fundamentally flawed. "Cr Antonio is presently considering his legal options with respect to appealing the decision of the panel to the Supreme Court of Queensland in order to vindicate his good name as a councillor and public servant." The statement also said that Cr Antonio's ownership of the quarry had been disclosed on his register of personal interests lodged with the council and that in funding the preparation of an alternate Inland Rail line, Cr Antonio was working to "lessen the impact of the rail line on a constituent's prime agricultural land". A spokesman for the Crime and Corruption Commission confirmed it had received the referral from the Regional Conduct Review Panel and it would be assessed in line with the watchdog's "standard processes". "It is important to note that an assessment is not an investigation. When the CCC receives a complaint or a referral, it first conducts an assessment to determine whether the matter falls within the CCC's jurisdiction, whether an investigation is warranted, and, if so, which agency should be responsible," the spokesman said. "As this matter remains under assessment, it is not appropriate for the CCC to comment further." IN THE interview that gave rise to the complaints, Cr Antonio, who owns a quarry in Captains Mountain near Millmerran, said he paid $4900 to have engineers investigate an alternative route for the Inland Rail line that ran adjacent to his land. Basalt from the quarry could be used to supply ballast for the railway line as it crosses the Condamine flood plain. At the time, Cr Antonio said profits from the quarry did not depend on the route running near his property, arguing that regardless of where the rail line went, the basalt on his hill and others in the area would be used. 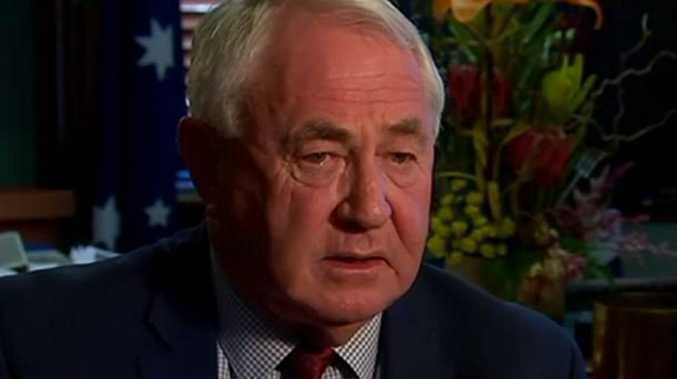 After first telling the ABC he gave the map to Millmerran farmer Russell Stevens, he relented under questioning and admitted he gave it to Groom MP Dr John McVeigh and former Federal Minister for Industry Ian Macfarlane. The day after the interview aired, Cr Antonio reiterated to The Chronicle he acted out of concern for established farming families. "Yes, I paid for it, and I did so because of the highly productive farming land that's important for the local economy." THE Local Government Regional Conduct Review Panel began its investigation into Cr Antonio's dealings with Inland Rail after the Crime and Corruption Commission assessed and referred-on two complaints arising from his September 2017 ABC interview - one from a member of the public and another from Cr Bill Cahill. Cr Cahill alleged that during the interview, Cr Antonio had deliberately attempted to conceal important facts and that his conduct caused reputational damage to councillors and the council. The complaint from a member of the public related to Cr Antonio's comments during the interview, and his conduct in commissioning private engineers to establish an alternative location for the route for the Inland Rail line. The Chronicle contacted Cr Cahill, who said he currently could not comment due to confidentiality reasons. IT WAS in November 2016 that the council formally confirmed its support for the Inland Rail project. Cr Antonio did not declare a material personal interest at the committee meeting that discussed the Inland Rail matter on November 8, nor did he do so when a position was formally adopted by the council on November 16. The panel's report said Cr Antonio denied that being the owner of a large basalt quarry near the proposed rail line placed him in a conflict of interest when he participated in the meetings, as it was his opinion that the project was to be decided by the Federal Government and not by the council. 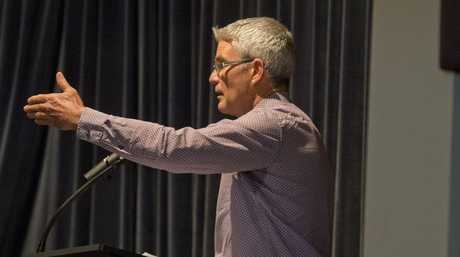 In his defence submitted to the panel, Cr Antonio argued that he did not consider it necessary to declare "a conflict of interest" as it was his view that the adoption of a position on the project by the council did not involve the "implementation of any activity… which would lead to a benefit to myself", given that at that stage, the Inland Rail route had not "been finally decided" by the Federal Government. Cr Antonio's arguments that he was not required to declare a material personal interest because the decision as to the route of the Inland Rail was "not a decision that could be taken by a council" were found to be "erroneous", according to the panel. "The panel reiterates the observation… that regardless of the early stage of planning or discussion of a mater by any council or committee, elected councillors have an obligation to declare a material personal interest and or a conflict of interest in an open and transparent matter," the panel's report stated. "The legislation is clear and Cr Antonio had the means, experience and support from his staff and the department to clarify and apply the provisions of this section should any clarification have been required." Cr Antonio submitted to the panel that he was aware of the potential that basalt could be required from his quarry, whichever Inland Rail route was adopted - something he stated both to the panel and during the ABC interview. "The panel is therefore satisfied to the specified standard of proof that Cr Antonio intentionally failed to declare a material personal interest in breach of the legislation," the report said. Noting Cr Antonio's "previously unblemished and lengthy experience" in local government, the report said, "It is of concern to the panel that Cr Antonio with this extensive history working as a councillor in local government failed to observe the ethical principles of transparency in governance that underpin the legislation… a failure to declare an actual material personal interest is considered a serious matter under the act". "Having regard to the whole of the evidence, the panel has a concern regarding the personal interest and involvement by the councillor in discussions and representations since the commencement of the (Inland Rail) line process and planning by the Federal Government, the (Australian Rail Track Corporation) and the Toowoomba Regional Council infrastructure committee deliberations," the report said. "The panel considers there is an obvious perception of conflict between his personal interests and his public office role of mayor and councillor. This conduct is considered by the panel to be suspicious and consequently it is the intention of the panel to refer this conduct to the Crime and Corruption Commission for further investigation." Cr Antonio explained to the panel that he prepared an alternate rail line proposal at his own expense, not because he could potentially achieve an increased financial benefit for himself and family members, but due to his concern for a specific farmer, Russell Stevens. The panel noted that Cr Antonio supported the report and recommendations of the Infrastructure Committee on November 8, 2016 that included rail line options that could impact Mr Stevens' property. The panel asked if the issues around impacts on agricultural land and Cr Antonio's alternate rail line route had been discussed by him with the council's Infrastructure Planning Committee, to which Cr Antonio responded "absolutely not". "He further stated that he considered it a personal matter and that the council and Infrastructure Committee could not make the final determination as this was decided by the ARTC and the Federal Government. Cr Antonio stated that he gave the RMA plan to Ian Macfarlane and others who may have been able to influence the route as an introduction to open communication for Mr Stevens," the report said. But the panel said the onus was "on Cr Antonio to bring all legitimate concerns to the open forum of council for discussion". When asked by the panel whether Cr Antonio represented the entire constituency in his actions relating to Inland Rail, given his expressed concerns for one land owner, Cr Antonio "confirmed that he represented the community as a whole". The panel ultimately found "the secrecy surround the preparation and distribution of the RMA report containing the alternate route was inconsistent with good governance and decision making in the public interest". "If the motivation of Cr Antonio was to progress an alternative route that avoided the agricultural land, the councillor had the opportunity to garner broader community and council support by releasing the report and therefore making his actions transparent," the panel's report said. Cr Antonio could have presented the alternative route to the council, or to ARTC, but did not. "The panel found that Cr Antonio restricted the release of the RMA report to three people only, Mr Stevens, Ian Macfarlane, and Dr John McVeigh. Although this alternative route places the line closer to Cr Antonio's quarry he submitted that regardless of where the final route is he stands to gain a future benefit," the report said. 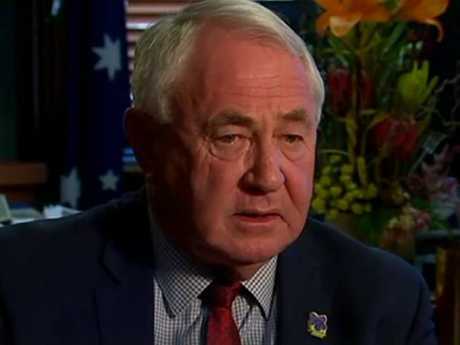 "While Cr Antonio stated that he did not lobby or make any submissions on behalf of Mr Stevens he confirmed that he provided the report to a key former federal politician and current CEO of the Queensland Resources Council, Mr Ian Macfarlane, and a current federal politician and member of the House of Representatives Dr John McVeigh. "The panel considers that the provision of the report to such high profile current and former politicians could be perceived as a way of positioning the report with persons who may have influence and impact on the final route of the Inland Rail. "The panel is satisfied to the required standard of proof that Cr Antonio's actions were not transparent or impartial. Cr Antonio as mayor and councillor failed to observe the local government principles of decision making in the public interest." Cr Antonio began his interview with the ABC in September last year believing it to be a chance to speak about the positive outcomes of the Inland Rail for the Toowoomba region. 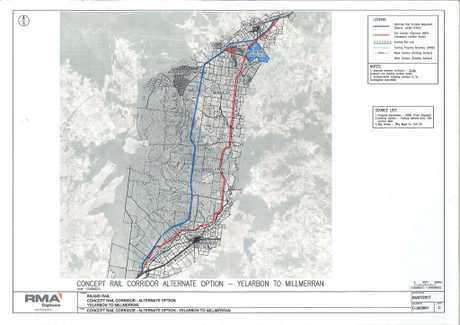 So when journalist Dominique Schwartz began quizzing him on the alternate rail line route he had commissioned and his dealings with Millmerran farmer Russell Stevens, he was "absolutely caught out", he told the panel. The panel's report said Cr Antonio made submissions "that he responded honestly to the questions put to him" by the interviewer and that he did not consider that the media articles relating to this interview, when read collectively, provided evidence that his conduct during the interview had caused "any reputational damage to council or himself". Accepting that Cr Antonio was "taken by surprise" by the line of questioning, the panel however said Cr Antonio had a responsibility to "uphold the integrity and principles of the Local Government Act and provide honest answers to all questions". "The panel noted that during the interview Cr Antonio did not initially respond truthfully to a number of questions," the panel's report stated. When asked what he had done with the alternate rail line map, Cr Antonio said, "I've given it to one person and he's obviously given it to you". But the following question and answer revealed he had also given to map to Ian Macfarlane and Groom MP John McVeigh. In a separate exchange, Cr Antonio was asked whether he had been lobbying the government to have his plan adopted. Cr Antonio denied lobbying and said "that he had not spoken to the government". He also said he "did not know what Ian Macfarlane had done with (the map)". The interviewer then read from a text message sent to Russell Stevens from Cr Antonio that said, "Macfarlane said he'd been talking to the powers that be and they like the option… it had enormous advantage". The panel considered that the contents of the message confirmed Cr Antonio did have some knowledge of what Ian Macfarlane did with the map and "that (Cr Antonio) did not respond honestly to the question". "Despite being taken by surprise the panel considers that Cr Antonio had the knowledge and the option to reveal the correct answer at the time the questions were posed," the panel's report said. "Cr Antonio has not outlined any explanation or motivation to the panel for not providing honest answers to each of the above questions other than being surprised. The panel does not accept Cr Antonio's submission that he responded honestly to the questions put to him by Ms Schwarz. "The panel considers that the mayor's response to several of the questions during the ABC interview represent damage to the councillor himself as the mayor, to the integrity of council and councillors reputations." Cr Antonio will make an admission of error and formally apologise at the next council meeting.